Steeped in history and culture, Venice has a magic about it that enchants all visitors who choose to stay in this incredible place, which is almost frozen in time and overflowing with beauty of every kind. 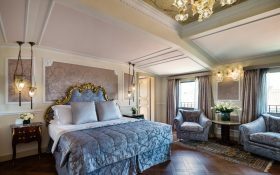 Enhance the magic of your visit with a stay at the Baglioni Hotel in Venice, one of the top-rated 5-star hotels in Venice. 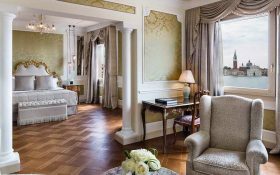 The Palace of the Baglioni Hotel Luna is home to a fully-fledged art gallery. The recent restoration now highlights the incredible beauty of the style and architectural lines. 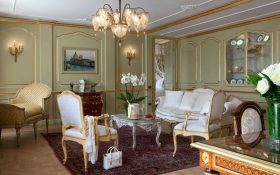 Choose from a wide range of romantic rooms and prestigious suites furnished by Baglioni Hotels in the lush Venetian style. 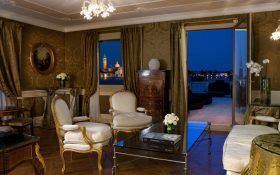 From the balconies of the suites and top suites of the Baglioni Hotel Luna, you can enjoy a spectacular panoramic view over the Venetian Lagoon and the Royal Gardens, which stretch over the San Marco basin and the island of San Giorgio Maggiore. Wine and dine in style at our award-winning Canova Restaurant. 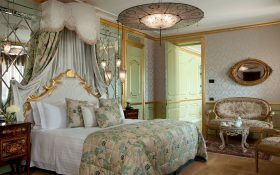 Relish the modern interpretation of original Venetian cuisine while feasting your eyes on the historical surroundings. 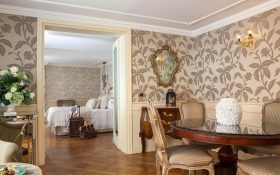 Enrich your stay in Venice enjoying the artistic and cultural attractions of the city located just a few steps from the Baglioni Hotel Luna. Thanks to its privileged position at the entrance of Piazza San Marco you can easily reach the most interesting places to visit. Celebrate Easter with your loved ones and navigate the Venetian lagoon aboard a boat and discover the islands of Certosa, Torcello, Burano and Murano. A fun Easter egg hunt awaits you! Board the Sweet Molly, the classic boat from 1938, and depart on a discovery of an authentic Venice. Treat yourself to a visit to Malamocco for a barbecue that evokes the aromas of summer. A fun and delicious experience with a guided tasting of hand-made chocolate, from truffles to hot chocolate, all crafted by Venetian artisans. Pamper your senses with a moment of pure indulgence. 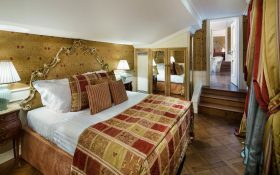 Stay like a true Venetian, rediscovering the charm of an ancient tradition. Italian Aperitivo included. Stroll with your family through the streets of Venice in the splendid days of spring. Visit the Musei Civici during the Easter holidays and enjoy a lunch or a gourmet dinner at Ristorante Canova. Watch the last craftsman in Europe who can transform gold, silver and precious metals into the finest leaf, and discover the history of the Venetian families who have kept this age-old art alive. Make your own piece of Murano glass in a unique experience working with specialist local craftspeople to create some traditional Venetian “Goto” glass as a special souvenir for you to keep. After a quick introduction to the history of this fine craft, you will discover how glass beads are made, and the beadmaker will then guide you as you create an original piece of your own. A hands-on workshop for younger guests to get creative and learn to make their own little pieces of Venetian glass to take home, all under the watchful eye of a top Murano expert. A unique and valuable flavors experience thanks to a rich gastronomic spread, focus on the research and accurate selection of the ingredients, according to seasonality, with a choice of a food education map that enhances the uniqueness of the territory. 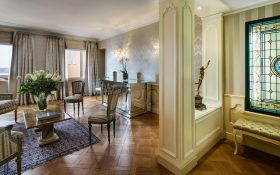 Make your stay at Baglioni Hotel Luna even more special. The Redentore celebrations are celebrated every year on the third Sunday in July to commemorate the freeing of the city from the plague, which by 1577 had killed one third of the population in just two years.